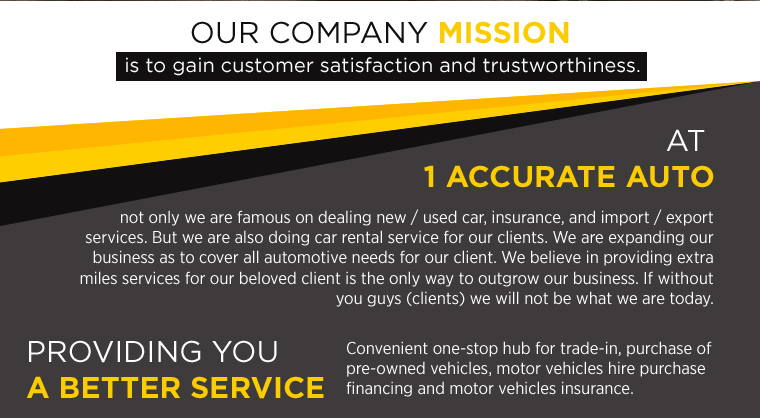 1 Accurate not only deals with new/used cars, insurance and import/export services. They also provides car rentals services for their clients. 1 Accurate is expanding its business to cover all automotive needs for their clients. 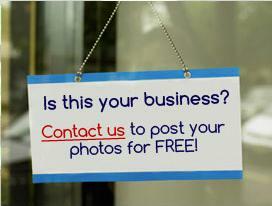 They believe in going the extra mile for their beloved clients is the only way to grow their business. sgCarMart is the number one car classifieds with car advertisement of MPV, SUV, luxury car, commercial vehicle, new Audi cars, OPC car and even auction car. We update you with latest information on new car prices from both parallel importers and car authorised dealers with brands such as Toyota, Volkswagen, Honda, Nissan, Mitsubishi, BMW, Mazda and Hyundai. Find new car pricelists, new car promotions, new car reviews, latest car news, car reviews & car insurance singapore. We are also your information hub for parking, road tax, car insurance and car loan. Visit our partner sites for job openings for Singapore jobs, real estate properties for sale, mover, car discussion, forum discussion, commercial vehicle leasing & COE results.